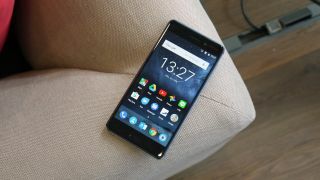 The trio of new Nokia phones are about to be let loose around the world as the release date for the Nokia 6, Nokia 5 and Nokia 3 has now been confirmed. All three phones will be available by the end of June this year. Originally HMD Global – the company making the new devices with the Nokia branding – had said the phones would be released by the end of Q2, and now a tweet from the official Nokia Mobile account has confirmed the planned June release. The tweet doesn't confirm what markets will get the phone though. It does claim the June date will be for a "worldwide" release, suggesting markets across the globe will have access to the phones. Exact pricing is also currently unclear for the US, UK and Australia, but we have a general idea from the confirmed European pricing. We know the Nokia 6 will cost €229 (around $240, £195, AU$315), the Nokia 5 €189 (around $200, £160, AU$275) and the Nokia 3 €139 (around $150, £115, AU$200). US and Australian release dates for the new Nokia 3310 are also unclear, but you can pick it up now in the UK for £49.99 (around $65, AU$90).